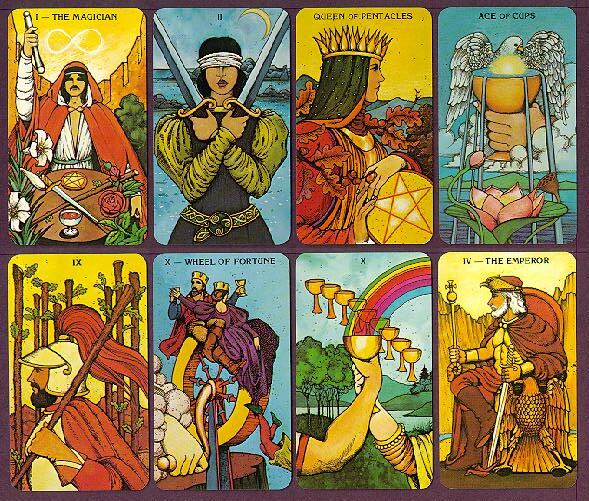 Every month I pick a tarot deck out of my collection and pick 12 cards from that correlate to each sign of the zodiac. This is #Crushascope for November 2015. Happy Birthday Scorpio! This is going to be a very reflective month for you. You want to move forward in personal relationships but make sure to take a personal inventory of your past and how you have treated people and yourself. It is going to be an exercise in self-improvement and intimacy. Once you realize what/where to improve you can move forward with confidence. This is going to be a huge breakthrough for your karma my friend! Honesty with yourself is the best policy this month. Don’t be scared to take the road less traveled or at least try to meet it half way. You’re getting a pop quiz on your dharma so make sure you think about your answers and choose wisely. Don’t cheat yourself out of what you really want to do this month. You will also be getting some backup from your friends and family this month. You don’t have to be silent and alone in order to deal with trouble. Be true to yourself and speak up! A very social month awaits you this November. After hiding out you are ready to hit the road and meet some new people and be the life of the party. You will not disappoint Capricorn. Once you are out there people will take note and will flock to you like bees to honey! A very solid relationship can come out of some light flirtation but takes things slow. All this new social activity may catch up with you so make sure you still take a few minutes out of the day for you. Also keep a notebook or sketch pad handy. You will be hitting a creative streak too that will be of use to you in the future. You are on a vision quest this month. You will connect with your spirit guides or animal totems or perhaps begin the search to find them. Actually more so they will find you. May sound hokey but don’t be alarmed if you keep running into coincidences or have massive deja-vu. No need to call Ghostbusters though! You have a posse of intergalactic family at your beck and call who want to reunite with you. It will open a lot of doors for you this month Aquarius. I would suggest finding a meditation class, looking for a past life regressions session, or learning how to make an altar for your ancestors. You live by a code that is ever changing but it is still yours. If you find yourself under fire by your peers just stand your ground, Pisces. You have your reasons and no one should question that! You will be able to defend yourself against any argument this month. It will exhaust you but you have a good chance to prove everyone wrong. Put up a diplomatic boundary when you can, but don’t get too guarded. Your loved ones love you and cherish you. So try to keep that balance between protection and vulnerability. I am just gonna post this link right here or you can continue reading either way…. Things intensify in your relationships this month! You will be connecting with a special someone and vice versa. This card is always an excellent indicator of two people being ridiculously in love with one another and shouting their love out to each other from the rooftops. If you are already paired up you will be reminded of that amazing love! Looks like you are about to double up on the workload and overbook yourself Gemini. When it rains it pours! But make the overtime work to your advantage. Things have been slow for the twins and we have gone back and forth on how to optimize our time, money, and relationships. Don’t be surprised if you need to block out an advance schedule of your week. You are going to be in demand at work as well at social events. You can get away with it but save your pennies! Your frugality will reward you later when things slow down again. You will be there to prove the naysayers wrong this month. You will be able to challenge the authority and prove a good point but keep a cool head about you Cancer. You don’t want to build a reputation for being a fire starter. Truth is, you can teach the teacher with a thing or two just don’t get cocky about it. Voicing your opinion the right way will get people respecting and noticing you in the right way. Just remember to be responsible with what you say and to be respectful of speaking to people. You continue your quest to attain your goal. It feels as though fantasy is not aligning with your reality Leo. Do not be disappointed this month. You will find a new way to attain your goal. Just be open! Plan B to the rescue. Things may have not panned out for you but do not give up. You will have a moment of clarity and relief. Once you revise your plan things will go much easier. Stay strong and move forward my Lions. Your day is at hand. You are a fountain of ideas this month Virgo. You are going to use your ideas to help out others. You feel like Zorro marking Zs everywhere in your path wherever you drop knowledge. People will be grateful whether they show it or not. Just keep dropping that knowledge onto your fellow man. But don’t exhaust yourself trying to help everyone. Perhaps leave little hints or gift a book that could be useful to a friend instead of doing a deep intervention overhaul. Not only will the message be appreciated it will be understood loud and clear. Thing are coming to a head this month for you Libra. Things may feel tense and you may be on the defensive this month. However, you have to evaluate how much of this opposition is real vs what is in your head. Take it real easy this month and try to keep the peace by making sure you get your facts straight. You may want to also take a look at what is really bothering you as opposed to putting blame on everything else. Once you have figured out how to work things out or talk things through it will be a catharsis for you. Things will change for the better and you will be able to figure out how deal with emotions better. Sonia Ortiz is American made with Cuban parts. She has been reading tarot for over 20 years. She is a licensed Reiki Practitioner, Bruja, Graphic Designer, and Guacamole Champion. She is the mother of the 2 best tuxedo cats on Earth. November’s horoscope used the Morgan-Greer Tarot by Bill Greer and Lloyd Morgan. You can follow her across all social media at @soniaaortiz.